Community colleges play an important role in post-secondary education, especially in the rural Appalachian region. Community colleges employ an overwhelming majority of part-time faculty. Part-time faculty are often perceived as having a negative influence on the quality of education within community colleges. 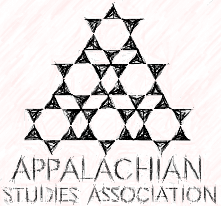 They are perceived as temporary employees who are seeking full-time faculty positions and are therefore less committed to the mission of the community college and the rural Appalachian community. This paper investigated the perceptions of the professional roles and relationships of the English part-time faculty at rural Appalachian community colleges. Part-time faculty were interviewed to identify the multiple roles of part-time faculty. The findings from this study reveal that part-time faculty are engaged in the academic community and are strongly connected to their students. Their strong tie to the community and their students bodes well for community colleges that must rely upon part-time faculty to achieve their educational mission. Dr. Robinson has been an adjunct faculty member and college Enrollment Management administrator. Her research interests include part-time faculty issues and rural school closings.